The clue that helped them to identify the rogue gene came from a family that suffers from both migraines and a rare sleep disorder, called familial advanced sleep phase syndrome. The syndrome disrupts their sleep cycle, causing family members to fall asleep early, about 7 pm, and rise around 4 am. The researchers hunted for the cause of the sleep cycle disorder and discovered a mutation in the casein kinase I delta (CKIδ) gene. The gene produces an enzyme that’s important for brain signaling and for regulating our circadian rhythms. The particular mutation in this family seemed to reduce the activity of the CKIδ enzyme and made the researchers wonder whether the mutation was also responsible for causing migraines. To test the hypothesis, they engineered mice that carried the same mutation. Just like the humans, the CKIδ mutant mice had disrupted sleep-wake cycles— but they were also more likely to suffer migraines compared to normal mice when given nitroglycerin. I admit, you can’t exactly ask a mouse if it has a headache. But because migraines cause a range of sensory issues, there are other physical signs the researchers could monitor in the mice. In this case, the CKIδ mutant mice became more sensitive to pain, temperature, and touch than normal mice. 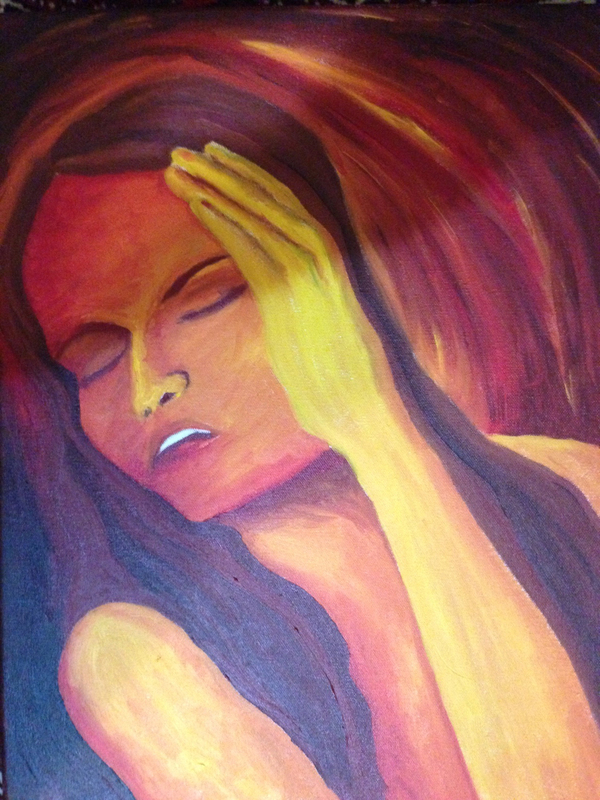 This mirrors the experience of many migraine sufferers. The CKIδ mutant mice were also more vulnerable to a type of brain activity called cortical spreading depression—a wave of electrical silence that follows electrical stimulation. Brain cells called astrocytes from CKIδ mutants functioned differently from those from healthy mice, suggesting one possible mechanism through which the mutation wreaks havoc in the brain. CKIδ affects several different proteins in the cell. The next step will be to tease apart which of these plays a role in triggering migraines. Once we understand how migraines begin, we have a better chance of identifying a new generation of drugs that can block that painful path. Casein kinase Iδ mutations in familial migraine and advanced sleep phase. Brennan KC, Bates EA, Shapiro RE, Zyuzin J, Hallows WC, Huang Y, Lee HY, Jones CR, Fu YH, Charles AC, Ptácek LJ. Sci Transl Med. 2013 May 1;5(183):183ra56. this absolutely makes sense. i sleep two to three hours at a time with multiple interuptions and suffer from chronic migraine. Now at this age of 62 I understand the migraine head aches that my mother – 1922 to 2008 – suffered. I have a clue to my own problems with my sleeping problems. I totally agree that the sleep gene is linked to migraine. But can there be a cure for it apart from medicine? Something like exercise, yoga could help.